Although chemical-flooding technologies well improve oil recovery, the subsequent produced fluid treatment is difficult, and the used chemicals may pollute the environment. Microbial enhanced oil recovery (MEOR) technology utilizes microbial growth and metabolism in oil reservoirs or their metabolites to improve oil recovery. Because of its simple implementation, cost-effective and environment-friendly, MEOR is expected to become one promising technology to enhance oil recovery in the future. Currently, MEOR studies were focused on biosurfactants flooding by improving the oil displacement efficiency. Relatively few MEOR studies were involved using biopolymers to enhance oil recovery. Microbial produced biopolymers, such as exopolysaccharide, are mostly used in biopharmaceutical, biomedical and food industries. Only a few biopolymers were used for enhanced oil recovery, such as xanthan gum and welan gum. Oil reservoirs harbored abundant microbial resource. Screening of biopolymer producing bacteria from oil reservoirs will help to discover more suitable biopolymers for enhanced oil recovery. Dr. ZHAO Feng, together with other researchers from Institute of Applied Ecology, Chinese Academy of Sciences, has collected brine samples from oil reservoirs of Xinjiang oilfield, China. They aimed to isolate oil reservoir indigenous biopolymer producers and evaluate the biopolymer production. The biopolymer product was extracted and characterized. Its rheological properties were also investigated. The enhanced oil recovery potential was also investigated by core flooding experiments. A rapid and efficient method was established for screening biopolymer producers using 96-well plates. An excellent biopolymers producer, Pseudomonas stutzeri XP1, was isolated from the production water of Xinjiang oilfield, China. Corn starch and nitrate were low-cost substrate for biopolymer production. Biopolymer product increased culture viscosity. Biopolymer showed rheological properties and pseudo-plastic behavior. In situ biopolymer production by strain XP1 enhanced 13.56% of oil recovery in core flooding experiments. Enlarging the variety of biopolymer producers is an efficient approach to discover more biopolymers suitable for enhanced oil recovery. A rapid and efficient screening method helps the researchers screen more biopolymer producing bacteria from environment samples to enlarge the variety of biopolymer producers. Pseudomonas stutzeri XP1 was isolated from oil reservoirs, so it can well adapt the oil reservoirs conditions. Produced biopolymer exhibited well property of increasing viscosity. Furthermore, the biopolymer product showed preferable adaptability under extensive environmental conditions. The rheological behavior and pseudo-plastic behavior of produced biopolymer make it conducive to be used in oil fields. Properties of indigenous strain Pseudomonas stutzeri XP1 and the biopolymer produced make them excellent candidates for enhanced oil recovery. The study, entitled "Exopolysaccharide production by an indigenous isolate Pseudomonas stutzeri XP1 and its application potential in enhanced oil recovery" has been published in Carbohydrate Polymers. The study is financially supported by the National High Technology Research and Development Program of China and the National Natural Science Foundation of China. 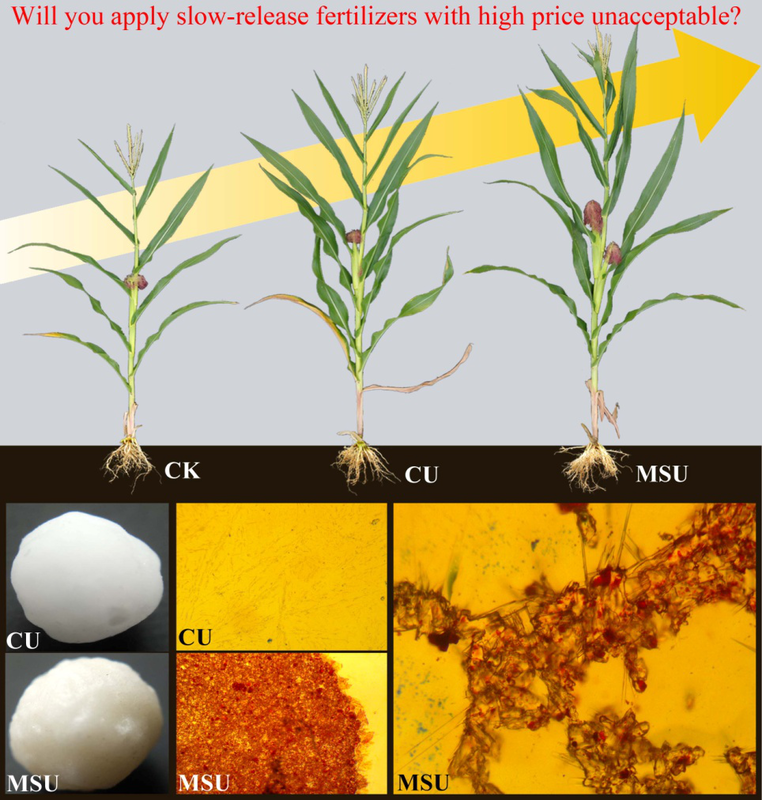 A study team led by Professor WU Yuejin in Institute of Technical Biology and Agriculture Engineering, Hefei Institutes of Physical Science assessed the performance of a novel low-cost slow-release urea on maize production.